One of the key ways to lower equipment costs for any business it to make sure that each piece of equipment last as long as possible. And when it comes to heating equipment this can be quite a challenge. Logic would suggest that equipment such as cartridge heaters would naturally have a short life due to their very nature. However, cartridge failure is not always due to age. There are other factors that can lead to their failure. Here we outline some of the most common reasons why this happens and offer our top tips on how to prevent cartridge heater failure in the future. Improper fit: Perhaps the most common cause for cartridge heater failure of all is improper fit. If a heater cannot dissipate the heat to the outside of its sheath properly the temperature will rise until it ultimately fails. Eventually, this will cause a breakdown of wires and heater itself. 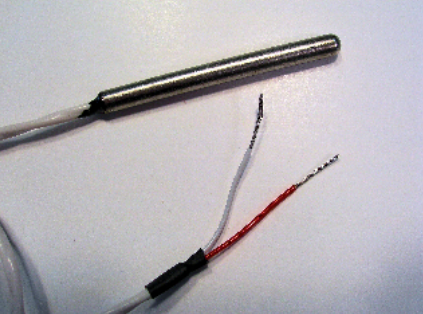 The watt density is too high: All cartridge heaters have a voltage at which they are designed to work. Outside of this voltage rating they may be ineffective or may fail eventually. So, if the applied voltage is too high then this will increase the watt density of the heating element. This will result in heat not being dissipated in the way that it should. The result can be that the unit fails to operate. Frequent temperature cycling: Excessive temperature cycling places undue stress on cartridge heaters. This can cause them to expand and contract at a fast rate (i.e. every 30-60 seconds). Eventually, this will reduce the lifespan of your heating element. Moisture and impurities: These elements can be drawn into your heating cartridge from the surrounding environment. These two elements can often cause a short circuit to occur which can lead to the heater failing. High temperatures and excess movement: Cartridge heaters can also be damaged by two other external factors – high temperatures and excess movement. To give your heater an added level of protection, make sure that you supply it with a suitable level of insulation when it is mounted onto moving machinery. In other words, the heating element should be as stable as possible or at the very least protected from excess movement which can lead to an eventual breakdown. The takeaway from all this is that just because your cartridge heater has a difficult job to perform does not mean that it has to burn out quickly. When certain precautions are taken your Watlow cartridge heater can have a life that is as long as any other vital equipment you own. Moreover, our customer cartridge heaters are made to fit the needs of all kinds of businesses. Check out our models and the specs and you will see how they can be an asset to your company.